Here's what your favourite Hollywood stars have been up to. 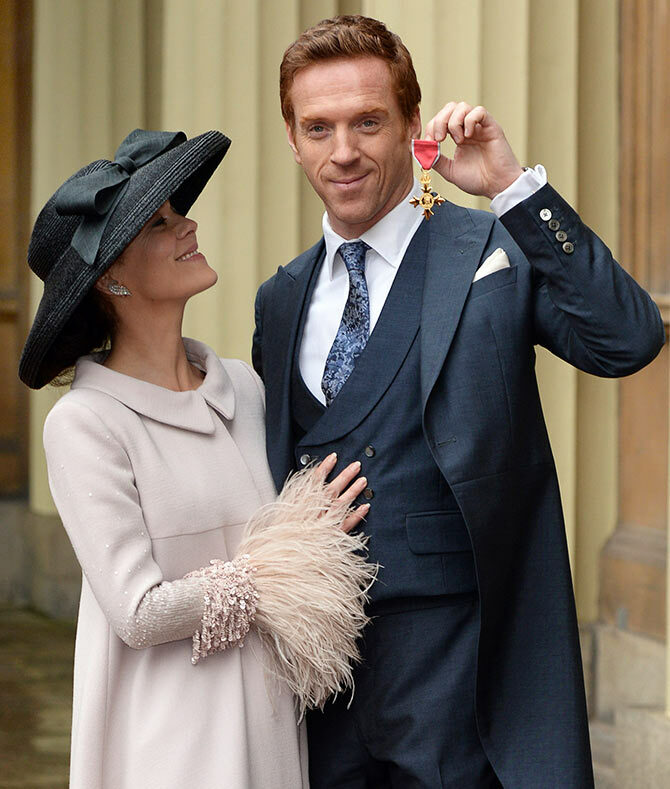 Homeland actor Damian Lewis holds his Officer of the Order of the British Empire (OBE) medal, as he poses for a photograph with this wife Helen McCrory, following an Investiture ceremony at Buckingham Palace in London on November 26. Angelina Jolie (centre) poses for a photograph with members of the British armed forces as she arrives for the UK premiere of her upcoming directorial Unbroken in London.